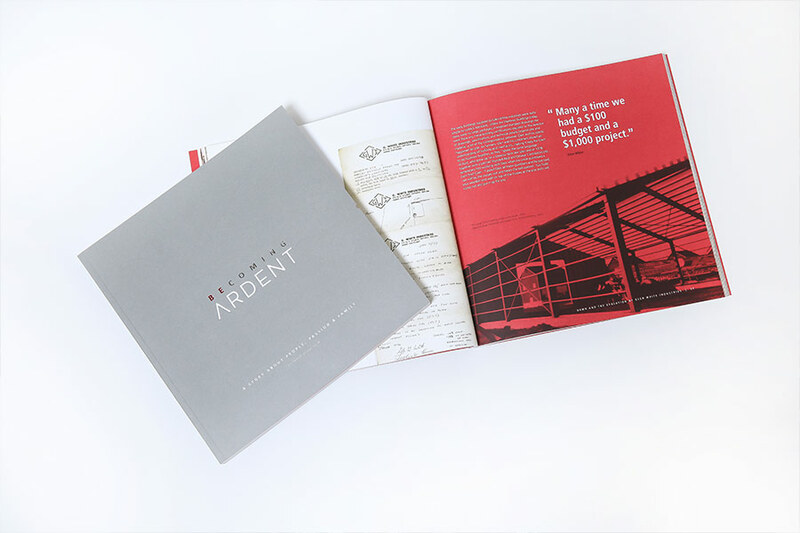 A rebranding, legacy and anniversary book that captures the story of People, Passion and Family that is Steelway Building Systems and Ardent Industries. It would be an oversimplification to refer to this book as a corporate history book, yet that is how the process started. After reading the first draft we realized the result transcended the business. Although our father, Glen White, supplied the vision for the company, it was the people along that way that truly built the successful business. This book has been written as a thank you for all the wonderful people of the past, present and future that make our extended family amazing. co.Presidents, Steelway Building Systems and Ardent Industries Ltd. In 1976, Glen White founded Steelway Building Systems. A second generation tobacco farmer with a life-long passion for building things, he turned his entrepreneurial dream into reality by providing farmers with steel building trusses and equipment. From those humble beginnings, Glen and his wife Pat grew Steelway into Canada’s leading supplier of steel building systems for commercial and industrial applications. Since Glen’s passing in 2006, their sons, Jason and Bryan, together with a group of long-time employees, have taken Steelway to the next level. 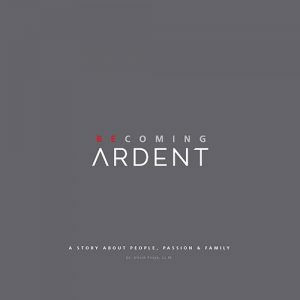 In 2016, during Steelway’s 40th anniversary celebrations, they launched Ardent Industries as the new brand for the group of companies owned by the White family. Today, there are hundreds of Steelway buildings all over the world while Steelway continues to lead the way in the Canadian steel building systems industry through national and international projects under the larger banner of Ardent Industries. 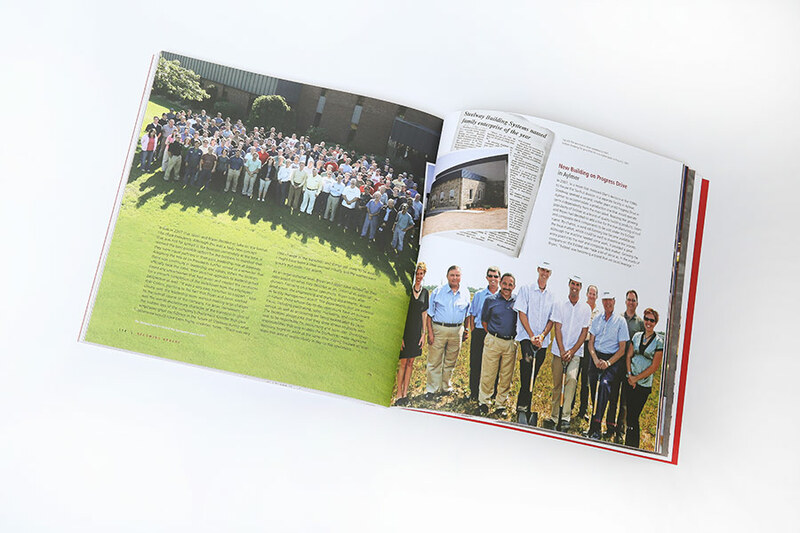 Steelway owners Jason and Bryan White were in the process of working with a marketing agency to create a brand for their new group of companies when they invited us to capture the story of Steelway in the form of a book to be launched at the company’s 40th anniversary. The purpose of the book was threefold: to capture the legacy of company founders Glen and Pat White, gather long-time employees’ reflections on the “old days” and the evolution of the company, and to create a high impact application for the launch and promotion of the new Ardent brand. One of the most unique and memorable projects in the history of HBS, it started off by interviewing Bryan, one of the earliest Steelway employees who had been diagnosed with terminal cancer. Driven by our clients’ desire to capture Bryan’s fascinating stories and insights into the early days and evolution of the company, we spent three days tapping into his rich memory before interviewing family, employees, customers, suppliers, partners in the construction industry and other stakeholders in the business. Bryan did not live to see the book he helped create, making his input and voice even more important as part of his lasting legacy at Steelway. By focusing on the three constants of people, passion and family, the narrative tells the story of the White family and Steelway in its larger value-based context of founder Glen White’s entrepreneurial dream, his commitment to employees and the community, and a larger tradition of family entrepreneurship that goes back to the early 1800s. The broader industry context is reflected through the story of the Canadian Sheet Steel Building Institute, and the impact larger events, such as NAFTA and the recession of the early 1990s, had on Steelway and the entire building industry. 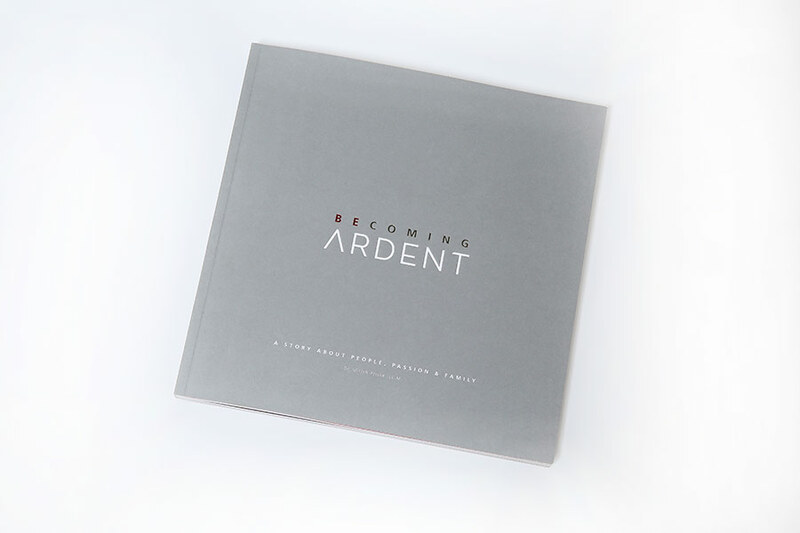 In addressing the challenges caused by Glen’s illness and untimely passing, Becoming Ardent serves as an illustrative example for the successful transition of a family business under dramatic circumstances and for continuity in values under second generation family leadership. To convey the dynamic character of the company, the narrative ends with an outlook into the future. 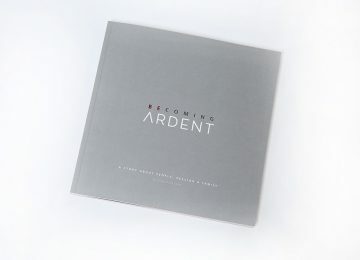 To meet our clients’ request for an innovative, contemporary and modern design that matched their aspirations for the new Ardent brand, we applied a fully customized approach to design that combined high impact visual pages with large pullout quotes, original artwork, and historical photographs from local archival collections. Skillfully crafted pages with multiple image overlays further helped create the kind of structural look the clients had in mind for their book. 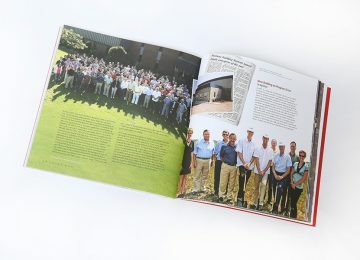 Combined with uncoated stock used for both the cover and inside pages, this made for a truly unique company history book.